COPD is a serious disorder which makes it difficult for a person to breathe. It is one of the major causes of mortality around the world and estimates indicate that the deaths due to this condition are likely to increase by more than 30% in the next 10 years. Chronic Obstructive Pulmonary Disorder or COPD is a serious disorder which makes it difficult for a person to breathe. It is one of the major causes of mortality around the world and estimates indicate that the deaths due to this condition are likely to increase by more than 30% in the next 10 years. This number will be even more in poorer and developing countries where prevention and control measures may not be as accessible. 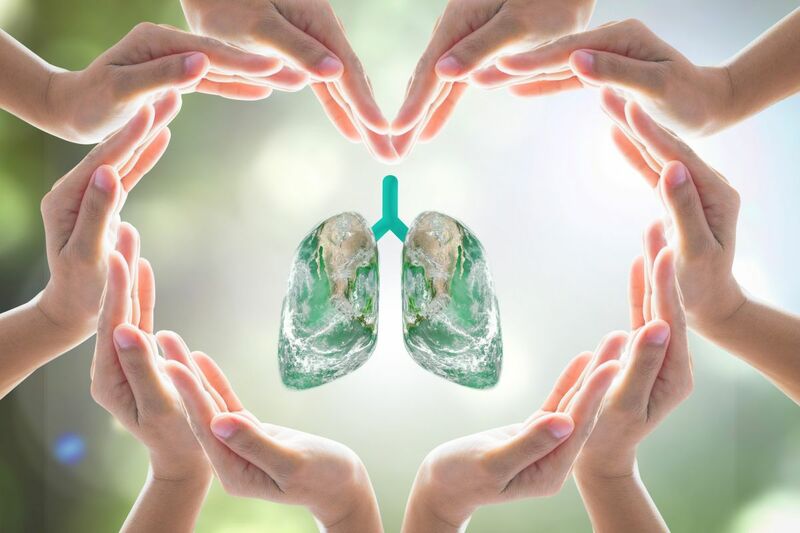 COPD refers to a group of lung conditions such as emphysema, bronchitis, refractory (non-reversible) asthma, and some forms of bronchiectasis. Some symptoms of this condition include increased breathlessness, frequent coughing (with and without sputum), wheezing, and tightness in the chest. Some of the major reasons that can cause the disorder are inhaling pollutants such as smoke from cigarettes, pipes, and cigars; or due to second-hand smoke; apart from fumes, chemicals, and dust. In some cases, it could be a hereditary disorder. One of the major impediments to preventing deaths due to COPD is the lack of awareness in India. There are a lot of misconceptions surrounding what it is, how it is caused, the symptoms, and how it can be detrimental to health in the long run. COPD cannot be cured, but it can be treated and managed, the destruction caused can be slowed down, and the symptoms managed. COPD ranges from stage I to stage IV. With time, the disease progressively becomes worse. Stage IV is also known as ‘end stage’ COPD. This condition is mostly diagnosed in middle-aged or older adults. However, it is not contagious and cannot be contracted from another person. One of the most effective preventive measures one can take is to avoid contact with tobacco smoke in any form. In people with severe issues, medication is given including bronchodilators which help in relaxing the muscles around the airways, open the airways, and make breathing easier. In case other options do not work, surgery is usually suggested as the last resort. Respiratory infections A person with COPD are more susceptible to colds, the flu and pneumonia. A respiratory infection can make it more difficult to breathe and cause more damage to the lung tissue. It is imperative to get an annual flu vaccination and regular vaccination against pneumococcal pneumonia to prevent some infections that can cause COPD. High blood pressure COPD can lead to high blood pressure in the arteries that bring blood to the lungs (pulmonary hypertension). Lung cancer People who smoke and have chronic bronchitis stand a greater chance of developing lung cancer than smokers who don’t have chronic bronchitis. Depression Anyone with a chronic illness such as COPD can find it difficult to breathe. Eat healthy and exercise Make sure your diet is rich in fruits and vegetables. They contain antioxidants which boost your immunity against conditions such as COPD. In conclusion, COPD is a cause for concern to both public health and the country’s economy. It, therefore, becomes the need of the hour to create awareness and learn ways to cope with this condition.